Donald McKay was born and raised in New Orleans, graduated from Louisiana State University in 1980 and received his Juris Doctor from Loyola University School of Law in 1984. Donald practiced initially as an associate with Hammett, Leake & Hammett, and has been with Leake & Andersson since its inception in 1987. He has a general civil litigation practice, with emphasis on construction, products liability, environmental, insurance coverage, medical and nursing home malpractice, sexual misconduct and workers’ compensation litigation. 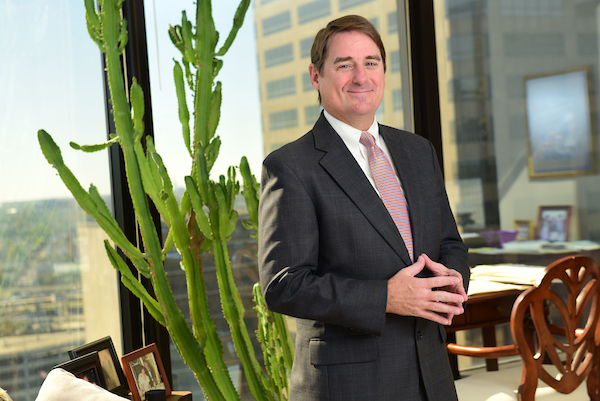 Donald regularly advises and represents clients in connection with all aspects of litigation, appearing in State and Federal District and Appellate Courts, including the Louisiana Supreme Court, and in frequent arbitration hearings and mediation conferences. Donald has been “AV rated” by Martindale Hubbell (highest rating) since 1998 and is a member of the Louisiana State Bar Association where he served as a member of the House of Delegates, the New Orleans Bar Association, Louisiana Association of Defense Counsel and New Orleans Association of Defense Counsel and member of the Defense Research Institute. Donald was recently recognized as a Top Attorney in New Orleans by New Orleans Magazine and has been selected by his peers to be included in The Best Lawyers in America, 2011 through 2017. He has also been recognized for his volunteer work at the New Orleans Pro Bono Project and provides pro bono notary and legal consultation services through Project HELP (Homeless Outreach Project). Donald is a member of the Construction, Healthcare and Workers’ Compensation practice groups of the American Law Firm Association International. Donald was selected to be a 2016 CityBusiness Leader in Law! Honorees were selected based on their professionalism and community involvement and achievements that have contributed to the betterment of the community. Donald and Indie, his wife of 32 years, are the proud parents of three sons, Patrick, Sean and Michael.